Safeguarding personal information of parents and students is a fundamental concern of Delta Christian School. The school is committed to meeting or exceeding the privacy standards established by British Columbia’s Personal Information Protection Act (PIPA) and any other applicable legislation. In the PIPA, the following terms have the meanings set out below: “personal information” means any information about an identifiable individual, as further defined under British Columbia’s PIPA or other applicable laws. Personal information excludes the name, position name or title, business telephone number, business address, business email, and business fax number of an individual, as well as any publicly available information as designated under applicable laws, such as information available from a public telephone directory or from a public registry. “Parent” means the parent, guardian, or other legal representative of a student. “Student” means a prospective, current, or past student of Delta Christian School. Delta Christian School is responsible for maintaining and protecting the personal information under its control. In fulfilling this mandate, the school designates an individual who is accountable for the school’s compliance with the Ten Privacy Principles. This individual is the Privacy Officer of the school. Delta Christian School will, before or at the time personal information is collected, identify the purposes for which the information is collected, used and disclosed. Delta Christian School collects and uses personal information to provide students with the best possible educational services enunciated by the Mission statement of the school. Most of the information the school collects comes to the school directly from parents and students or is information regarding the student’s school activities, performance or behaviour, such as attendance records or grades. For example, when a student applies to register in the school, the school will ask you to provide the information that enables it to complete the registration process. This also includes information on academic, health, and personal matters needed by the school to provide the best possible education and co-curricular programs. Delta Christian School also collects information in connection with the use and monitoring of its computer and internet systems. Personal information may also be collected and used and disclosed in the course of the operation of building security systems, including video and other surveillance systems. Delta Christian School will obtain consent of the individual for the collection, use or disclosure of personal information except where the law states exemptions, grants permission, or creates a requirement for collection, use, or disclosure of personal information. Requirements for consent to collection, use or disclosure of personal information vary depending on circumstances and on the type of personal information that is intended to be collected, used or disclosed. In determining whether consent is required and, if so, what form of consent is appropriate, Delta Christian School will take into account both the sensitivity of the personal information and the purposes for which Delta Christian School will use the information. 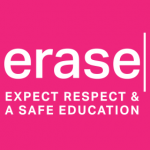 Consent may be express, implied (including through use of “opt-out” consent where appropriate), or deemed. For example, if an individual provides his/her mailing address and requests information regarding a particular service, consent to use the address to provide the requested information may be implied. On giving reasonable written notice to Delta Christian School, an individual may withdraw consent to the collection, use or disclosure of his or her personal information. Upon notice of withdrawal of consent, Delta Christian School will notify the individual of the likely consequences of withdrawing his or her consent and, except where otherwise required or permitted by law, Delta Christian School will stop collecting, using or disclosing the personal information as requested. to communicate with parents and students, process applications and ultimately to provide students with the educational services and co-curricular programs you expect. to enable the school to operate its administrative function, including payment of school fees and maintenance of non-educational school programs including parent and volunteer participation and fundraising. health, psychological, or legal information to provide certain specialized services in those areas or as adjunct information in delivering educational services. If for any reason personal information is required to fulfill another purpose, the school will, where appropriate, notify you and ask you for your consent before the school proceeds. Delta Christian School may use anonymous information, such as information collected through surveys or statistical information regarding students, to constantly improve our school. When May Information be Disclosed? Delta Christian School may disclose an individual’s personal information to others in connection with the purpose for which it was collected, as consented to by the individual, or as required or permitted by law. The following are some examples of how Delta Christian School may disclose personal information. Other educational institutions routinely contact the school for personal information about students. For example, if a student moves to another school, college or university, student records are requested by the enrolling institution. Your permission to pass on these records is usually obtained when the student is registered and you authorize the school to disclose such information to other appropriate educational institutions for the ongoing education of the student. Contact information may be used to enable the school to provide the para-educational and administrative services usually operated by the school. These services include phoning committees, participation groups, parent meetings, fundraising, events, annual general meetings, etc. In some cases, when communication is over the telephone, your consent to the use and/or disclosure of your information will be obtained verbally. In other cases such as when you communicate through e-mail, your consent will be obtained electronically. The type of information the school is legally required to disclose most often relates to family court issues, legal proceedings, court orders and government tax reporting requirements. Student information as per Form 1701 is annually filed with the Ministry of Education. Only the information specifically requested is disclosed and the school takes precautions to satisfy itself that the authorities making the request have legitimate grounds to do so. The school is legally permitted to disclose some personal information in situations such as an investigation of illegal activities, reasonable methods to collect overdue accounts, a medical emergency or suspicion of illegal activities, etc. Only pertinent information is disclosed. The school does not sell, lease or trade information about you to other parties. At Delta Christian School, the school sometimes contacts outside organizations to perform specialized services such as printing, student assessments, market research or data processing. For example, the school gives its photographer the information required to produce the annual yearbook. Suppliers of specialized services are given only the information necessary to perform those services, and Delta Christian School takes appropriate steps to ensure that such information is securely transferred and stored and is used only to fulfill the purposes for which it was disclosed to the service provider. If you choose to limit the sharing of your personal information, please contact the school office and submit a written letter specifying which items of personal information you wish to limit, and to whom you wish these items to be restricted. Please remember that certain agencies, by law, have access to certain types of personal information. Personal information will only be retained for the period of time required to fulfill the purpose for which it was collected. Once the personal information is no longer required to be retained to fulfill the purposes for which it was collected and is no longer required or permitted to be retained for legal or business purposes, it will be destroyed or made anonymous. 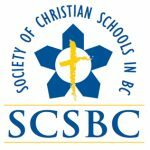 Delta Christian School will take appropriate steps to ensure that personal information collected by Delta Christian School is as accurate and complete as is reasonably required in connection with the purposes for which it was collected, used or disclosed. How May I Update Outdated or Incorrect Information? An individual may, upon written request to Delta Christian School, request that Delta Christian School correct an error or omission in any personal information that is under Delta Christian School’s control and Delta Christian School will, as appropriate, amend the information as requested and send the corrected personal information to each third party to which it has disclosed the information during the preceding year. Delta Christian School will protect personal information by security safeguards that are appropriate to the sensitivity level of the information. In the course of daily operations, access to personal information is restricted to authorized employees who have a legitimate reason for accessing it. For example, teachers will have access to personal information about students but not your account with the school. Employees are appropriately educated about the importance of privacy and they are required to follow the school’s policies and procedures regarding handling of personal information. Student files are stored in secured filing cabinets. Access is restricted to only those employees (teachers, teacher-aides, counselors, secretaries, etc.) who, by nature of their work, are required to see them. The school manages electronic files appropriately with passwords and security measures that limit access by unauthorized personnel. The school’s security practices are reviewed periodically to ensure that the privacy of personal information is not compromised. Delta Christian School will make information available to individuals concerning the policies and practices that apply to the management of personal information. Individuals may direct any questions or enquiries with respect to the school’s privacy policies or practices to the Privacy Officer of Delta Christian School. Delta Christian School will inform an individual, upon the individual’s request, of the existence, use and disclosure of the individual’s personal information, and shall give the individual access to it in accordance with the law. Individuals may access and verify any personal information with appropriate notice so that the office is able to supply the information required. Most of this information is available in the registration forms and other forms that you filled out. A parent may access and verify school records of the student, with appropriate notice during normal school hours. In situations of family breakdown, the school will grant access to records of students in accordance with the law. Students may access school records in the presence of a parent (see Parent Access to Student Personal Information). Questions, concerns, and complaints about privacy, confidentiality and personal information handling policies and practices of the school should be directed to the school’s Privacy Officer by calling the school office. If necessary, individuals will be referred to use the school’s complaint procedure and appeals policies.